Do you love the Ocean? Are you wanting something new and exciting in your life, a sea change? Perhaps you are studying Cert III in Captive Animals (Zoo Keeping) and need placement? Are you retired and wish to dedicate some of your time to conservation? Whatever your reason, Irukandji just may be the place for you. Our volunteers are passionate people who are dedicated to the attraction and our conservation cause. With their help we will be able to go above and beyond with the many conservation projects for the future of the Ocean. 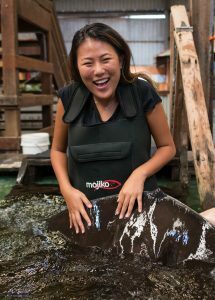 The Irukandji Shark & Ray Encounters Program is a great way to gain experience and further knowledge within the aquarium industry. Many University or TAFE courses make it a requirement to gain practical experience in the field. This is where Irukandji can show you what it is like to be an Aquarist in an interactive aquarium. 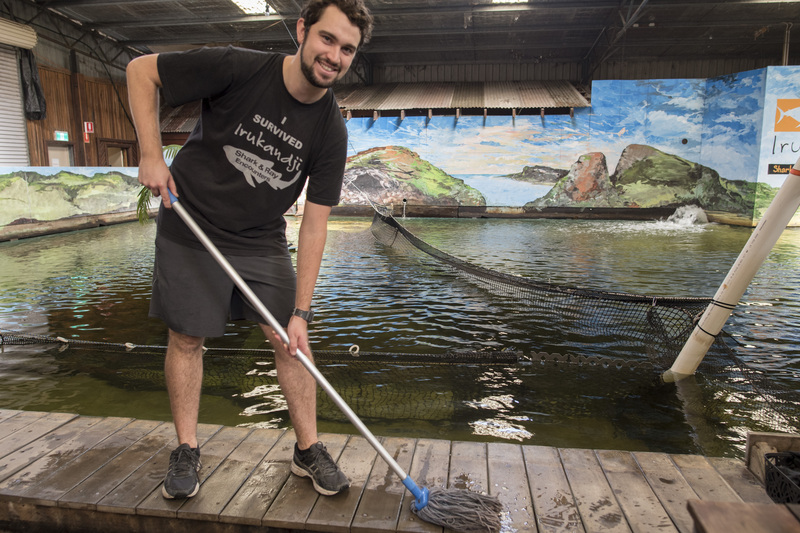 Participating in the Volunteer Program does not guarantee employment at Irakundji Shark & Ray Encounters or within the Aquarium industry, but it certainly opens the door to learning and increases your chances of employment within this tough industry and our centre. Once accepted into the program, all volunteers must undergo a 4 week trial period during which completion of the Occupational, Health and Safety Manual is mandatory. Our volunteer program includes opportunities for adults of all ages and youth to get involved and give back to their community. The volunteer experience provides endless opportunities that will challenge your curiosity and encourage you to grow, learn, expand your social network; increase your marine and conservation knowledge and meet new people. All of our volunteers receive a job interview; this is great practice for those who want to enter the working world. Volunteers may not be accepted if they would be a disruption to the workplace or visitors. 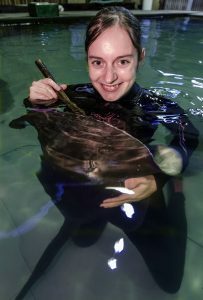 Also as we are very popular; volunteers may not be accepted if there is somebody else who is more deserving for example; currently studying Cert III in Captive Animals or a Marine Biology Student. If these experiences sound like an opportunity you’d like to be a part of, think about how you’d like to get involved. Fill out the Application form and wait for a reply. Be aware volunteering with us is very popular and we only have a limited number of positions, so there may be a bit of a wait before you receive your interview. Think about how you’d like to get involved, Options include Sales/Reception/Kiosk or Aquarium and animal keeping.